Hello! Welcome to the first post on Sugarfree Sweetheart! To read more about the blog click here. 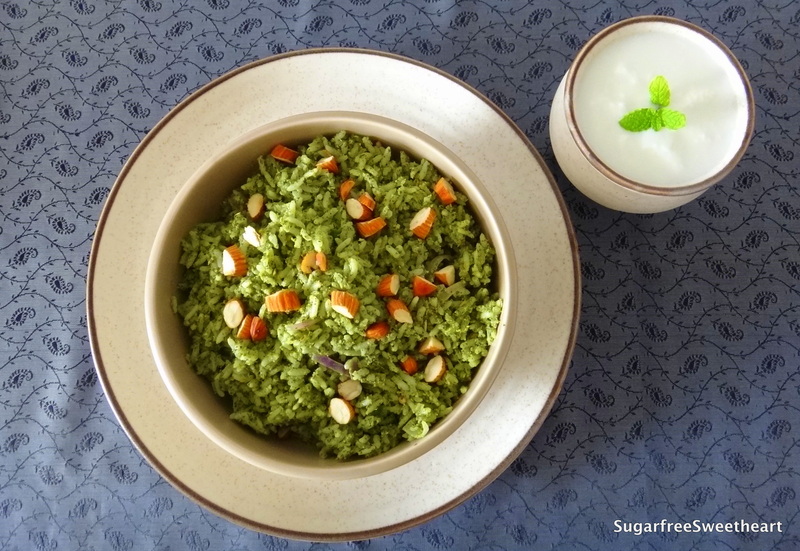 Let’s begin with a simple one-pot wonder, Pudina Rice. This version has some healthy and tasty twists to the usual recipe. I’ve added flax seeds for omega 3 (good fat), almonds for protein and crunch, and coconut for texture. This recipe is suitable for diabetics, weight watchers, and mint enthusiasts! Ready? Time to prep and cook Pudina Rice! Before grinding any roasted mixture allow it to cool a bit. Grinding very hot ingredients creates pressure in the container and sometimes the lid can try to escape and fly to freedom! 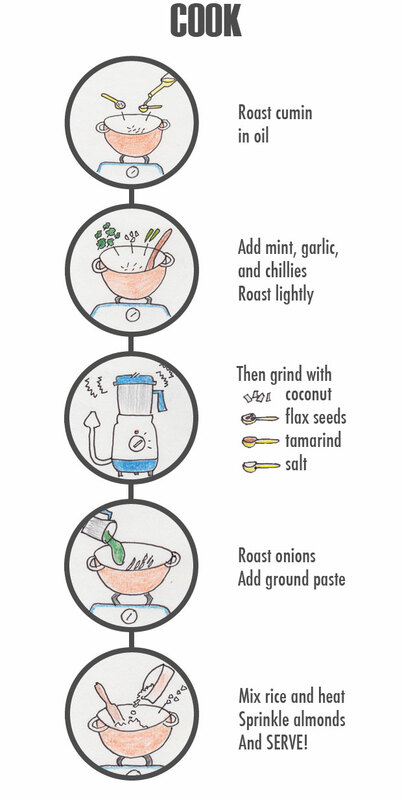 Cooling the rice before mixing it with the ground mint paste helps you get a non sticky end product. Reduce the amount of coconut in the recipe to reduce the calorie content.